Premier Daniel Andrews has declared Victoria “the most progressive state in the nation” following Victorian Labor’s landslide win over the Liberal Nationals in Saturday’s state election. 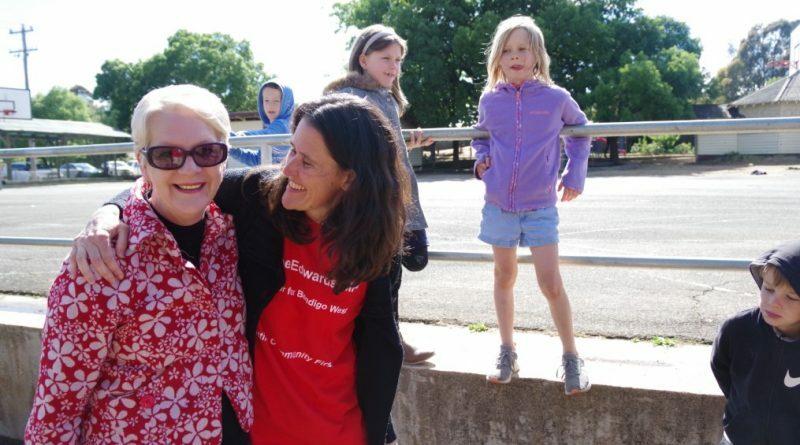 Significant swings to Labor across the state were mirrored in local electorates with Labor MPs Mary-Anne Thomas and Maree Edwards returned easily in their seats of Macedon and Bendigo West respectively. At the time of going to press yesterday, with absentee votes still to be counted, Ms Thomas was well ahead of Liberal candidate Amanda Millar on primary first-preference votes with 48.98 per cent to Ms Millar’s 32.38 per cent, and extended her lead in the two-candidate preferred vote with 62.76 per cent to Ms Millar’s 37.24 per cent. It marked a swing of about nine per cent to Labor in the seat, with the margin extended from 3.8 per cent at the 2014 election to 12.7 per cent. Ms Thomas told the Midland Express she believed the message voters had sent to all parties was that they needed governments to deliver the services and infrastructure they were crying out for. 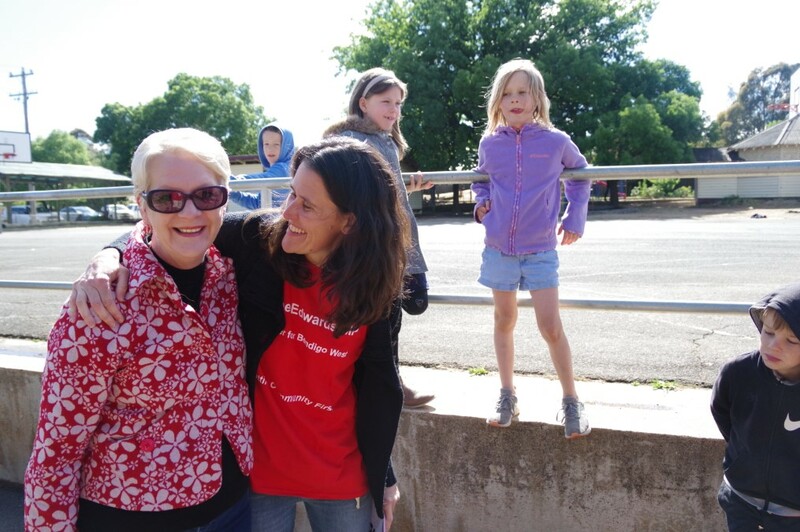 “We need good schools, we need kindergarten and sporting facilities, transport services that can be relied upon, and people could see that the Andrews Government was delivering that right across the state,” she said. In Bendigo West, Ms Edwards was also returned to office with an even greater margin of votes, polling 54.4 per cent of the first preference votes, to finish well ahead of Liberal candidate Kevin Finn’s 27.36 per cent. The result represented a 6.6 per cent swing to 18.7 per cent at the time of going to press, well up on the 2014 result of 12.2 per cent. In the two-candidate preferred vote, Ms Edwards finished with a whopping 68.66 per cent of the vote, with Mr Finn obtaining 31.14 per cent. Ms Edwards said the result meant the community could look forward to the state government implementing the commitments it made during the election campaign. “We (Labor) received a strong endorsement state-wide, which I see as recognition for our mandate and what we want to achieve as a government. It’s quite remarkable,” she said. 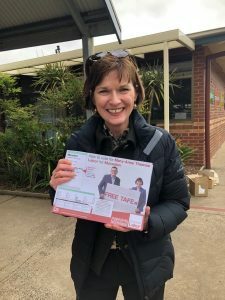 Macedon MP Mary-Anne Thomas at the Romsey polling booth on Saturday. – $1 million towards construction of a new solar farm near Newstead to help Renewable Newstead achieve its goal to be 100 per cent renewable. – $49 million for upgrades to the Bendigo-Kyneton railway line, which will look at re-opening Harcourt Station. – $60 million for the development of the Bendigo Hospital Day Rehabilitation Centre on the site of the old hospital. 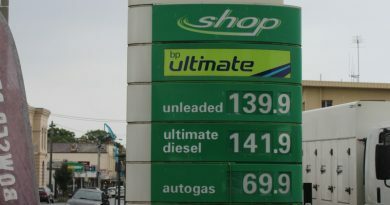 Unleaded fuel was priced at about $1.40 a litre last week at Kyneton's BP service station, the Woolworths Caltex station and the independently owned Kuppers Fuel Stop, while prices elsewhere hovered around the $1.15 mark. 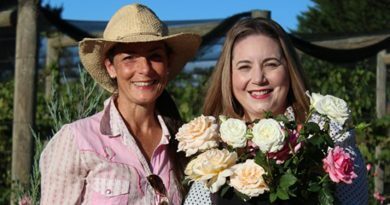 Micro rose and peony farmer Danielle White with author Vanessa Carnevale. 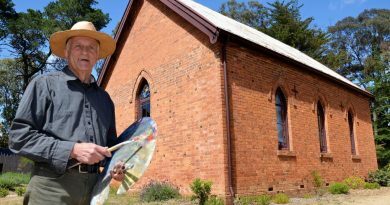 Artist and teacher David Moore is shifting his popular oil painting classes from Montsalvat in Melbourne to a special location at Elphinstone.